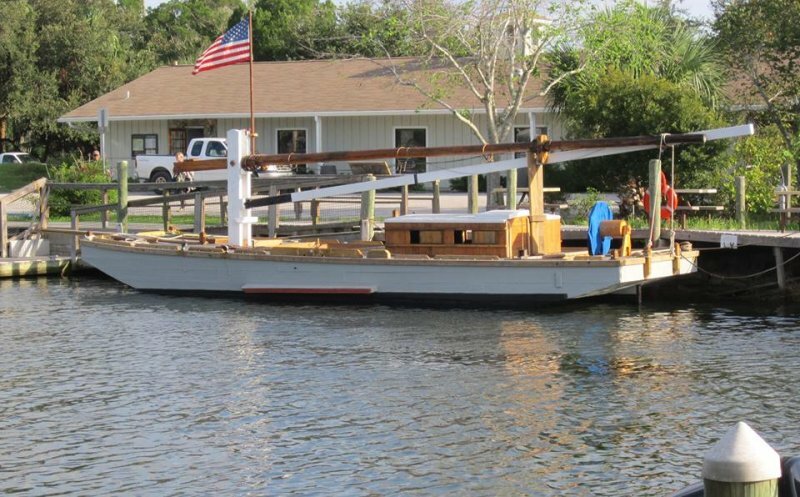 The Crystal River Boat Builders launched their 36′ x12′ scow, SPIRIT, on 4 October here in Crystal River, Florida. She is a replica of the USS WARTAPPO, a scow from the Florida west coast, captured and used by the Blockade Squadron during the Civil War. Two years in construction, it was built entirely by hand, using no power tools. She carries a jib, 500 sq ft gaff-rigged main and two huge leeboards. During the Civil War, she was used to raid salt works along the coast. She mounted a 12lb field howitzer and landed a squad of 30 marines!